"Exclusive Disclosure On The Power Supply That Ran Ed Gray's Overunity Motor And A Theoretical Model To Explain The Famous Coil Popping Demonstration." REVEALED: Latest details on a reverse engineering attempt on the actual equipment used by Ed Gray is shared. 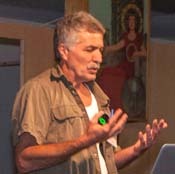 Developed several varieties of original alternative electro magnetic energy systems and reviving technologies associated to high voltage magnetics and energy recovery system known as EMA, Electro Magnetic Association (Ed Gray), with original EMA motors and related equipment to be revived as regenerating prime movers. Invented and developed 6KW and up Multi phase/Freq Permanent Magnet Dynamos, the original and first Interference Disc Electric Alternator Motor technologies, original and first stainless steel Vaporizer Vessel fuel delivery system for the internal combustion engine. Also developing off grid conventional alternative energy systems on site such as Wind Dynamos, Solar Cells, Micro Hydro Gravity system, Solar Hot Water Generators, and more. We are working toward total sustainable energy self sufficiency which also includes horticulture and installing green houses for year round growing of non GMO organic foods in colder regions such as in BC. Al happens to own the largest collection of the remenants of Ed Gray's technology and he has been diligently working to reverse engineer the power supply to see what if any components or how it is built is operating in some unusual way. Al's reverse engineering efforts are a work in progress but for the first time ever, he presents his findings of the power supply to a public audience. Although it is not a conclusive report, it is an exclusive release. He also goes into other aspects of his research including this design for a fuel vaporizer and his interference generators. 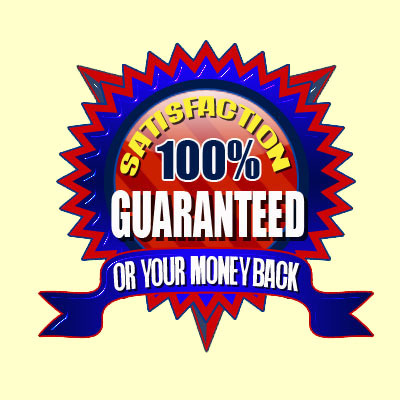 I have personally been emailed by those claiming that his interference generators do not work, but I visited Al's shop with Paul Babcock and we saw the generators working with the ability to light a lot of incandescent bulbs. Anyone stating that Al's interference generators don't work is spreading misinformation. If you're a fan of Ed Gray's technology, then this presentation is a must have. And if youre not, you should be! It was one of the most profound demonstrations of Free Energy in history and we've never been this close to understanding the operating methodology. 218 page PDF of the PowerPoint presentation used at the conference. * RARE * 3 videos by Ed Gray's technology including news clips and some demonstrations by Ed Gray himself! 29 minutes total. These are better quality than most that have been released in the past. This is the first time Al Francoeur has revealed how the Ed Gray motor power supply is put together publicly. Get your hands on Electricity, Magnetism, Gravity & Singularity by Al Francoeur right now. You have 60 days to check out Electricity, Magnetism, Gravity & Singularity by Al Francoeur -- risk free! Electricity, Magnetism, Gravity & Singularity by Al Francoeur Now! get your hands on Electricity, Magnetism, Gravity & Singularity by Al Francoeur now before it slips your mind. Aaron, I'm ready to add this incredible lecture about Electricity, Magnetism, Gravity & Singularity by Al Francoeur to my library right now! Give me Electricity, Magnetism, Gravity & Singularity by Al Francoeur now so I can start enjoying and benefitting from it right away. 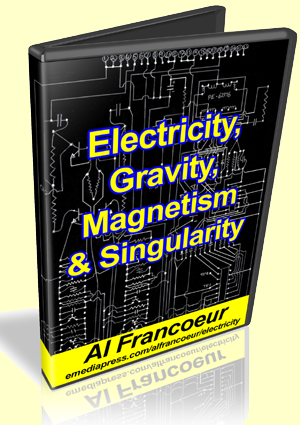 Get Electricity, Magnetism, Gravity & Singularity by Al Francoeur right now and study it carefully. 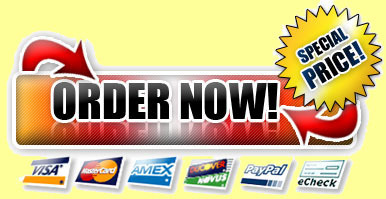 Then decide if this isn't worth adding to your library on Ed Gray's technology at ANY price!